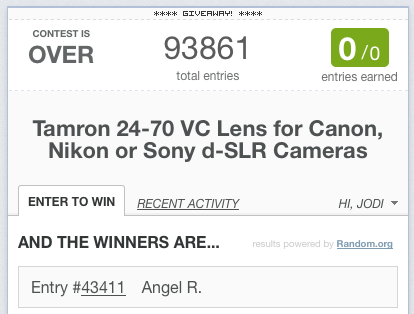 The winner of the Tamron 24-70mm 2.8 lens is: Angel Rangel. Congratulations! We have emailed you to confirm your prize. For everyone else, check back this Fall as we plan to do one more giveaway with this lens. 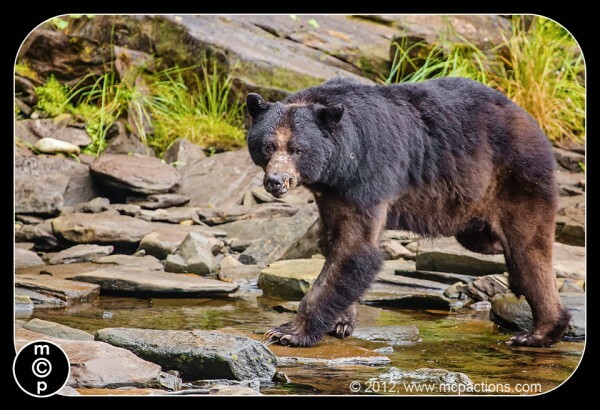 As a photographer, there is nothing more flattering than having a one of your photos appear in front of a wide audience. 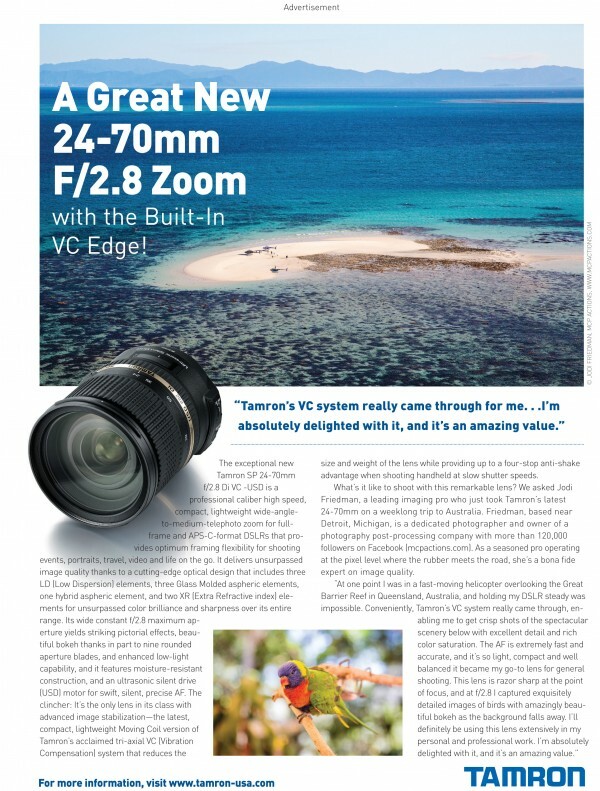 Thanks to Tamron, a photo I took during my adventure in Australia in June now appears inside millions of magazines inside the latest issue (September 2012) of Popular Photography. In conjunction with this news, we are giving away a brand new Tamron 24-70mm lens. Details on how to enter are below the ad. Since Tamron sent me the lens in April, I have shot a few thousand images with it in Australia, Alaska, Seattle and home in Michigan. I can honestly say I love the image quality. And the vibration compensation works amazing – trust me I have shot waterfalls handheld at 1/13 of a second and achieved crisp landscapes with flowing water. I’ve used the lens on floatplanes, boats, and helicopters, all of which have motion working against crisp images – and achieved sharp photos. So are you ready to try to win one? Imagine winning a brand new lens for your d-SLR camera. You will NOT want to miss your opportunity to own the Tamron 24-70mm Lens. Entering our giveaway is easy. See details below to learn how! Tamron 24-70mm VC Lens (for full frame and crop sensors too). The winner picks their choice of a Canon, Nikon or Sony mount (Sony cameras have image stability so there is not vibration compensation built into that mount). The contest ends Saturday the 1st at midnight and winner will be picked via random drawing by September 3rd, and announced on the top of this post on the MCP Blog. Odds are winning are 1/# of entries. Valid only where permitted by law. Click “push to enter” and follow the steps. You will need to come back here and leave a comment for one entry. I only have my 50mm lens and would love to have some zooming capabilities on a lens as well. I would love this lens, the shot you took with it is beautiful. Who would not want it? I’ve been using my 50 mm non-stop and really need some variation! How I would love this lens! i LOVE this!! thank you for this contest!! i wold love to win! A 24-70mm f/2.8 lens is the PERFECT concert lens, and that’s my area of expertise! Especially hearing about the great VR – I often have to shoot with longer shutter speeds than I’d like, so this would help my art a great deal! Would love this lens for studio natural light work for the shallow dof! AWESOME!!! I’d LOVE to win!!! =) Thanks!! I’ve been saving up for a Tamron lens! I only have a 50mm right now and would LOVE a zoom lens!!! This would make my day! I would love to win this lens! Do I *need* a reason?!?!? I thought that spoke for itself! Okay, well I don’t have a lens like this in my bag and I think it would be an amazing option. Thank you!! Would love to win this lense!!!! being new to photography its hard to come up with the cash to buy a lense like this. This is excellent! Having this lens would just be more incentive to go Full Frame! This would compliment my new (old) 5D mark 1 very nicely indeed! How awesome! Thanks to you and Tamron for doing this, and congrats on the image!!! Wow this would be awesome to win! Thanks! I love all of your products! I’m sure I could come up with a ton of reasons that I want to win but really it comes down to who doesn’t want a new lens? !